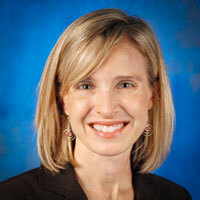 The Denton ISD Board of School Trustees named Dr. Jamie Wilson superintendent of schools in July 2012. 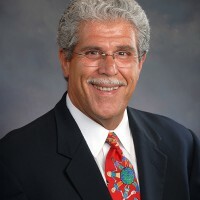 During his 24-year career he has built a reputation through public education advocacy, growth management and instructional innovation. His life-long ties to the Denton community positioned him to become the leader of the school system. As a collaborator, Dr. Wilson has forged unprecedented partnerships with local business, universities and organizations. Most recently, the district co-founded Mentor Denton which seeks to place an adult mentor with each of the districts at-risk students, which account for 42 percent of the district’s 28,000 students. 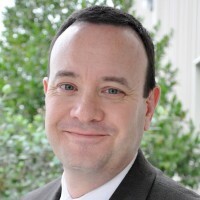 Dr. Wilson joined Denton ISD in 2005 as assistant superintendent for secondary academic programs, where he immediately focused on improving educational programs for the district’s growing student population. He is committed to student engagement with a focus on student achievement. During the five years he’s served as deputy superintendent, Dr. Wilson has played a major role in managing the district finances, especially in 2011 when the state cut public school funding and the local district’s revenue by $11 million. Dr. 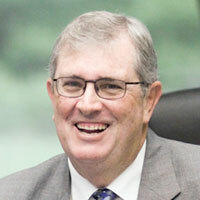 Guy Sconzo recently retired as Superintendent of Humble ISD for the past fifteen years. During his tenure, the district grew from 23,000 to over 41,000 students. Humble ISD also received the HEB Award of Excellence in 2015 as the best large school district in Texas. Guy’s forty-three year career in education began in New York as a teacher, then principal. He has served as a superintendent for twenty-six years in Ohio, New Jersey, Oklahoma and Texas. He was named a finalist for TASB Superintendent of the Year and was the 2007 TASA nominee for National Superintendent of the Year. Guy earned his BA in English Literature and Secondary Education from Wagner College in Staten Island, New York, and has his MA in Educational Administration from New York University and Ph.D. in Educational Administration from The Ohio State University. During his tenure at LTISD, the District has experienced both phenomenal growth in student enrollment and success in academic and extracurricular programs, as well as significant improvements in fine arts by restructuring the program to better support, guide and coordinate the District’s performing and visual arts programs across kindergarten through twelfth grade. 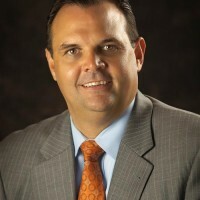 Dr. Doug Killian was recently named Superintendent of Pflugerville ISD, and served in that role at Hutto ISD since 2010. 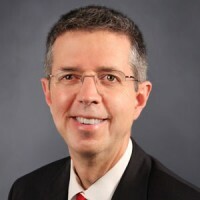 In 2014, he was named the Greater Austin Chamber of Commerce’s 2014 Superintendent of the Year and in 2015 was Region 13’s Superintendent of the Year. Locally, Killian is a member of Rotary and Lions Club, and is involved in the Chamber of Commerce. Doug is married to Lorie Killian, a Registered Nurse, for 25 years, and the Killians are blessed to have three wonderful boys. Doug began his educational career at United ISD severing as a 1st Grade teacher. He has held various administrative positions including serving as superintendent in Poteet and Huffman, as well as rolls in ESC 3 and 20. He believes the success of Texas in drawing business to the state has created a new issue in our communities: the incredible pressure of classroom facilities and funding needs in many fast growth districts. The Fast Growth Coalition is essential to bringing those needs to the forefront. Susan Bohn has been the Superintendent of Lockhart ISD since 2015. Lockhart ISD is a fast-growth, 5A Central Texas school district 30 minutes southeast of Austin that serves almost 6,000 students. Prior to joining Lockhart ISD, Susan most recently worked at Lake Travis ISD, where she served as General Counsel, Assistant Superintendent, Deputy Superintendent, and Interim Superintendent, and oversaw the passage of a $158 million bond package. She has also worked as a classroom teacher in Fort Bend ISD and as a school attorney in private practice serving Texas public school districts. Bohn is a native of Central Texas and product of Texas public schools. She lives in Lockhart with her husband and college sweetheart, Bill, who is also an Austin native and works as a medical sales regional director. Together they have 2 young sons and proud Lockhart Lions, Brice and Brooks. Bohn received a doctorate in Educational Leadership from Texas Tech University. She has three degrees from the University of Texas at Austin, a Bachelor’s degree in the Plan II Honors Program; a Master’s of Public Affairs from the LBJ School of Public Affairs; and a Juris Doctorate from the UT School of Law. With more than 31 years of experience in Lewisville Independent School District (LISD), Superintendent Dr. Kevin Rogers has a proven track record of creating an educational environment where all 53,000 students and 6,000 staff members can thrive. From ensuring each student has a safe and nurturing environment in which they can learn, to advocating at the state and national level for students, staff and the communities LISD serves, Dr. Rogers is the epitome of a servant leader. He has invested countless hours in shaping the future of others, through his role as a teacher, coach, campus administrator, mentor and friend. In addition, Rogers has served as an adjunct professor for the University of North Texas (UNT) and on boards of directors for non-profit organizations serving children. Dr. Rogers’s dedication to education isn’t only recognized within the boundaries of LISD. In 2010, the University of North Texas named Dr. Rogers UNT Outstanding Ed.D. Doctoral Student in Educational Administration. He was named Texas School Counselor Association’s 2015 Counselor Advocate of the Year; and received the National PTA Life Achievement Award in 2015. Most recently, the Flower Mound Chamber of Commerce named him the 2017 Citizen of the Year. He earned his bachelor’s and doctorate degrees from UNT and his master’s degree from Texas Woman’s University.